In junior high I was tasked with selling magazines as a fundraiser for concert band. I recall flipping through the brochure looking at magazines that might interest myself and then I came upon a magazine titled Mountain Bike. I don’t think I’d ever even thought that what I’d always been doing with my bike was an actual sport. My brother and I went 50/50 on a subscription and our first issue was in December 1993. I recall that issue was Zapata Espinoza’s first issue as editor. At school a few days later I noticed an old friend of mine was reading the same magazine and he low and behold he actually owned a mountain bike. Who would have thought from then on mountain biking would be such a big influence on my life. 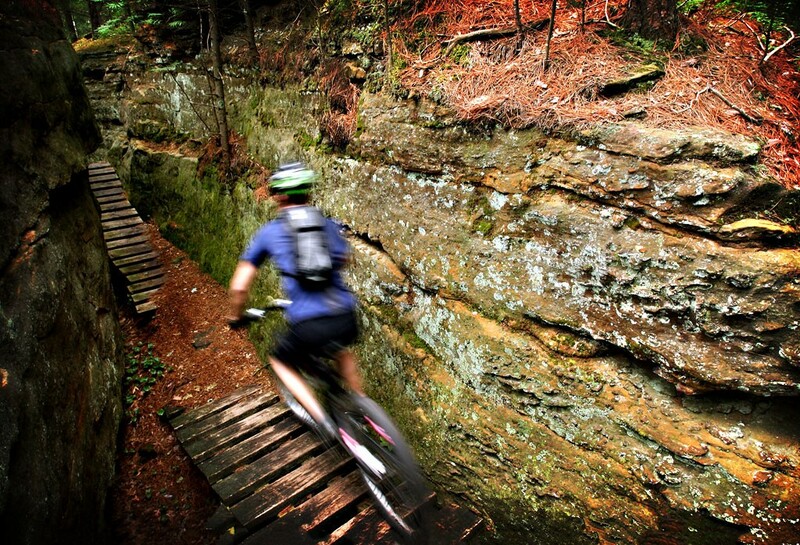 Mountain biking has always been a lot more to me than a form of exercise or escape. Mountain biking, or as I’ve gotten older cycling in general, has always been a really big social aspect in my life. The majority of my friends in junior high, high school, college and even now our cyclists. I love going for rides in groups, far more than riding by myself. I love waiting at the top of a climb chatting with everyone in the group before racing off to the next hangout. I could pick any number of photos I’ve taken on rides but I chose this one from Levis Trow because it brings great memories of the camping weekend rides that my friends and I have done over the past handful of years. Levis Trow is one of my favorite places to ride in the area. It has onsite camping at the trailhead, awesome trails and awesome views. Nothing better than packing a couple of beers in your pack, riding to the top of the sandstone bluff and catching a sunset.